Flow Blue is a painting by Don Silvestri which was uploaded on July 25th, 2016. FLO BLUE VASE SET ON A TABLE CLOTH AND FLANKED BY PLUMS,GRAPES AND WALNUTS. 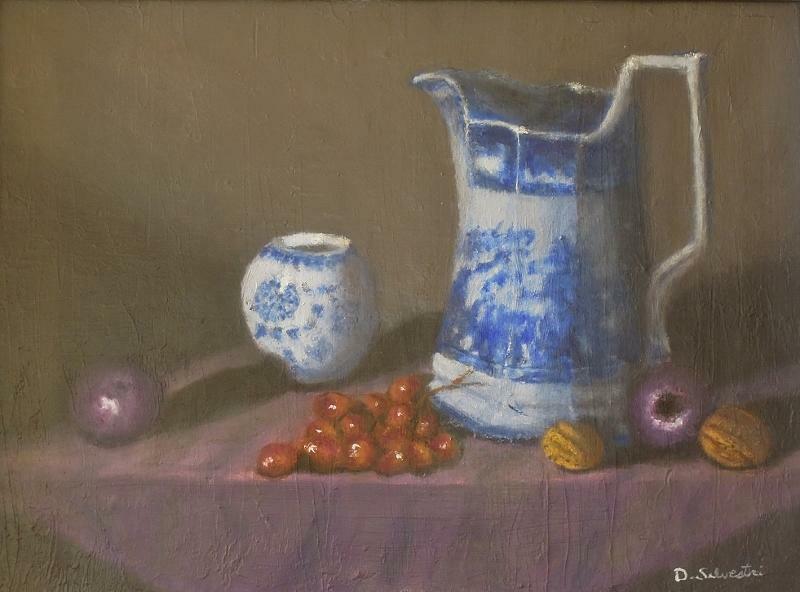 THE PAINTING SHOWS THE SMOOTHNESS OF THE VASES COMPARED TO THE GRAPE AND PLUM SKIN AND THE ROUGHNESS OF THE WALLNUTS. DRAMATIC USE OF LIGHT AND SHADOW. There are no comments for Flow Blue. Click here to post the first comment.